Okay, so you don’t play tennis like Roger Federer and Serena Williams. That doesn’t mean you can’t find a partner at your level of play, even if you are a beginner. C’mon. Get out there. Be glad we have the gift of tennis weather, (well, almost, depending on where you live). So get the racket, tennis balls, and tennis clothes to get ready for spring matches. But what if you don’t have people to play with? The Tennis League Network for sure can help you find players right where you live through an online tennis community. It’s a proven program. If you are familiar with our two programs, you may be wondering whether you should play in the partner’s program or the league. Some players belong to both. What’s the difference and why choose? Like the leagues, the partners program provides dedicated tennis partners according to playing skill level and your playing location, either for matches or just to hit around. The Partner Program, however, is different from the League. Here’s how: it’s less structured and less competitive, since there are no league standings or season championships. The Partner Program is for all level players. We do, however, encourage beginners to play in the Partner Program first before playing in a league. We do track the results and make necessary skill rating adjustments based upon the scores. Because we present your contacts based upon skill level, it gets you fun well-matched tennis partners. Players can use three semi-standard playing formats: 2 out of 3 sets, 2 sets with 10 point super tie-breaker or the 10-game pro set (First to 10, used when court time is limited). We connect you with 19 Men and/or Women based upon your playing skill level. You meet up with the players to play either a match or just hit around. Compared to a league, the Partner Program is less structured (there are fewer guidelines on playing schedules) and less competitive (for example, there are no champions crowned and no league standings). 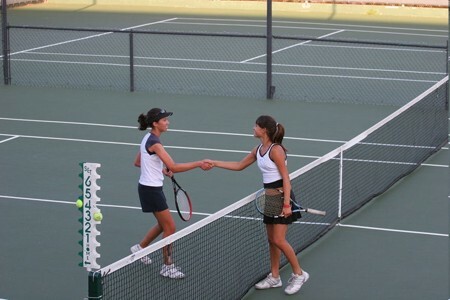 The program just provides dedicated tennis partners who want to meet up with you on the courts. The objective is to ensure when you enter the program that you'll be connected with active players. So players are required to play at least once every 45 days to keep their membership in the program active. The Partner Program is ongoing and remains open as long as the weather is good enough to play outdoor tennis. For sure you can find players where you live. The league strongly suggests that players jointly try to pick a tennis court location convenient to both. We provide an extensive list of tennis courts for each area, including details such as # of courts, lighting, hitting walls, etc. We strive to keep this list fresh and up-to-date; players are encouraged to pass along any updated information. The Partner Program is ongoing and remains open as long as the weather is good enough to play outdoor tennis.